Absolutely! You can take a look at all the courses we have to offer on our course directory page. 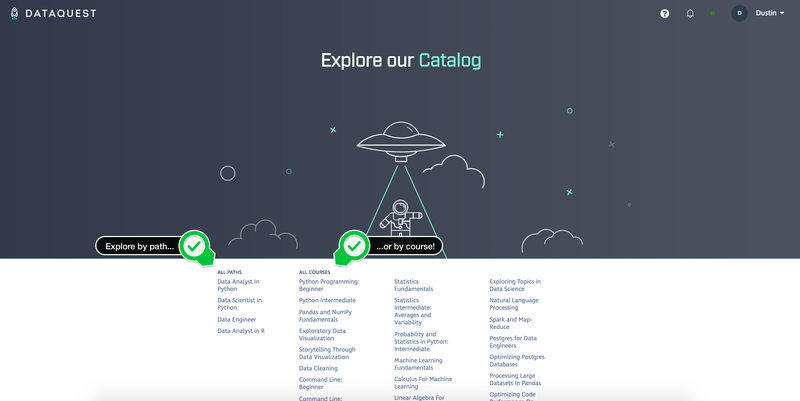 💡For an overview of the topics that you'll cover in each learning path, click here to read through our "What does each learning path cover?" article. How to navigate the directory. You can explore our directory in two different ways: by learning path or by course. If you choose to explore our course offerings via learning path type, you'll be taken to a high-level, step-by-step breakdown of the courses within in that path, in the order that they are taught on the platform.